When you think about the logos of major brands, you probably just take the colors they use as a given. Of COURSE the Youtube play button is red and white and McDonald’s arches are a happy yellow – it just makes sense. That’s because color psychology plays a monumental role in branding; colors influence our perception and make us feel a certain way, even if we don’t always realize it on a conscious level. 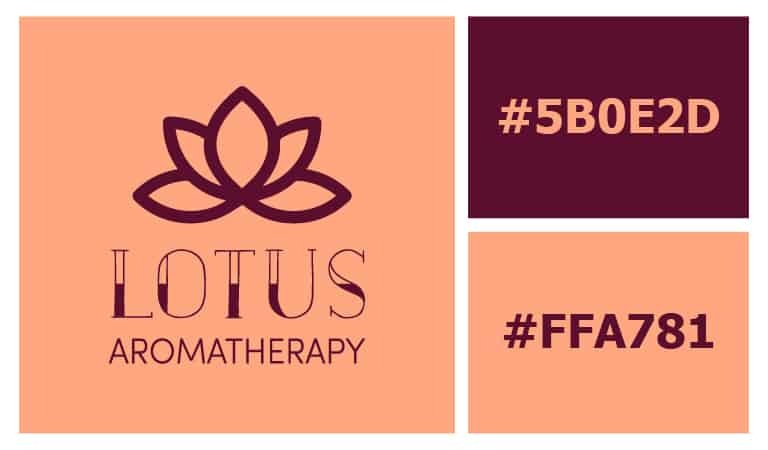 Still, it may not seem like much thought went into the logo color combinations mentioned above – aren’t they just the logical choice for what those particular brands do? Not so fast. You can bet that a hundred cups of coffee and millions of dollars went into the original logo designs of some of these powerful brands – with much of the focus likely having been on the color combinations. So what does this mean for your own logo? Your logo’s personality is rooted in its colors – are you a bold seagreen-fuschia, or maybe a soft yellow-white? 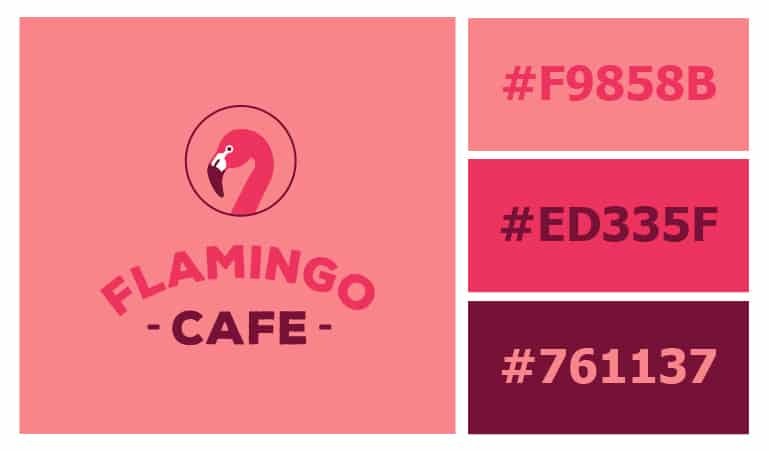 By learning your way around color combinations, you can create a logo that tells your audience exactly who you are. First rule of thumb: Don’t overdo it – less is more. 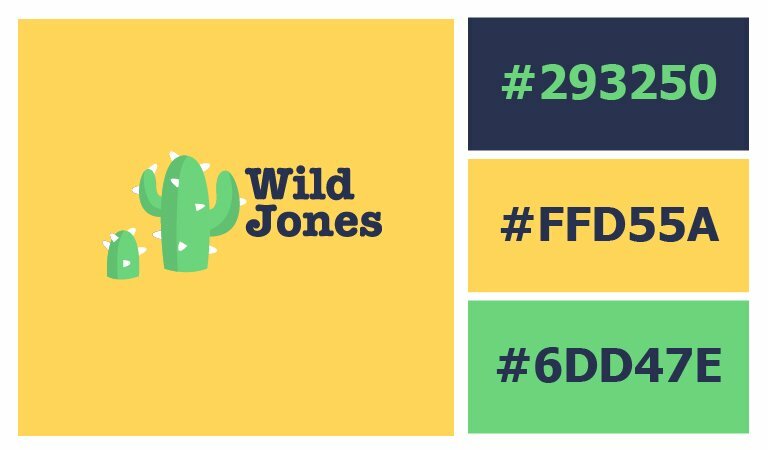 With logo color combinations, it’s better to limit your creative explorations than go color-crazy. In this vein, we recommend sticking with two- or three- color combinations – or, of course, a single logo color. Two-color logos are an industry standard. They often use contrasting shades, which creates an eye-catching effect. Here are some of our favorite two-color combinations. Yellow is the ultimate attention-grabber, and it sets up a youthful backdrop for the authoritative navy. This logo’s color combination is playful yet confident, giving the impression that the company behind the symbol is one to be trusted. This berry-teal color combo can have two different effects, depending on how it’s used. Put teal on a berry background for your logo to pop; lay the darker blue over the teal to comfort and calm. Enthusiastic orange interacts nicely with powerful black, creating an overall feeling of mystery and thrill. This logo color combination is particularly well-suited for activities that promise an adrenaline rush, like extreme sports, escape rooms or nightclubs. This unique pair of plum and peach is not often seen together, but it adds an element of charm to any logo! You may want to think about using this color combination if your brand is in the fashion industry, home decor, or alternative medicine. Nothing says reliable like a combination of light-blue and mulberry purple (bordering on brown). Consider using this pair to brand for cosmetics or high-end retail. Opposites attract – and so do these complementary colors! The security of blue grounds the impulsive sides of orange, invoking a simultaneous feeling of excitement and trust. Always ready to entertain, this navy-and-rust pair promises a good time. 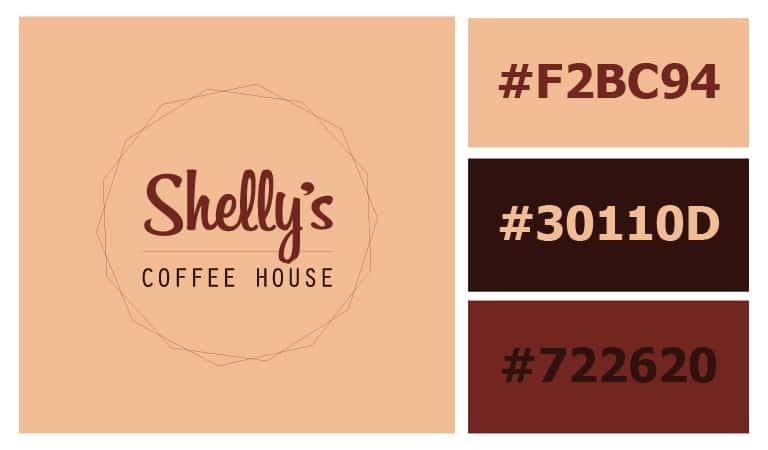 These logo color combinations can be a little harder to pin down, because the options are many but not all choices are good ones. In general, two contrasting colors with one complimentary color can be the way to go – but there are exceptions to that rule, too! The smell of coffee is practically radiating off of this logo. Browns ooze dependability, while a cream background keeps the logo from feeling dull. This could be a solid color combination to use if you’re in the food industry or want to be perceived as family-friendly. This one takes two primary colors and throws their secondary into the mix – a perfect match! 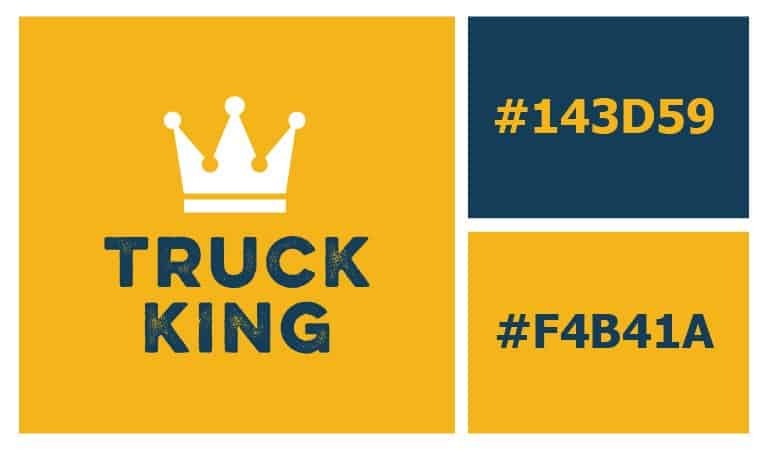 The butter-yellow majority with a touch of lime keeps the logo playful and youthful, while the azure lettering brings an heir of wisdom to the table. Keeping it in the family! These two blues complement each other and reaffirm the trustworthiness of the brand. Combine them with the beige backdrop, and you get the reassurance that it’s safe to explore and pursue. This logo color combination is great for brands in the travel niche, life coaching, and healthcare. Contrast meets contrast meets contrast in this triadic, three-color combination. Various shades of each primary color merge into a logo that pops off the page and leaves funk it its wake. If you were looking for a logo that screams “approachable,” the pink color family is your best bet. These shades are different enough to add some aesthetic flare to the logo, while sufficiently similar to maintain the look of innocence. Throw maroon into the mix, and you mitigate the risk of exhibiting naivete – giving off just the right amount of professionalism. Have you been able to tell that we love blue yet? It’s not for nothing – blue is the most used color in logos of the top 100 brands worldwide (see IKEA, AT&T, Walmart, and NASA for reference). Here, the wheat-beige acts as a subtle bridge between the two primary colors, reducing the seriousness of blue and accenting the lively side of yellow to create a balanced, professional feel. Colors are an important aspect of your brand’s identity. After choosing the type of logo you want to use, you should take some time to consider what each color will say about your company. Think about the emotions you are trying to elicit, and how you want your consumers to respond to your brand. 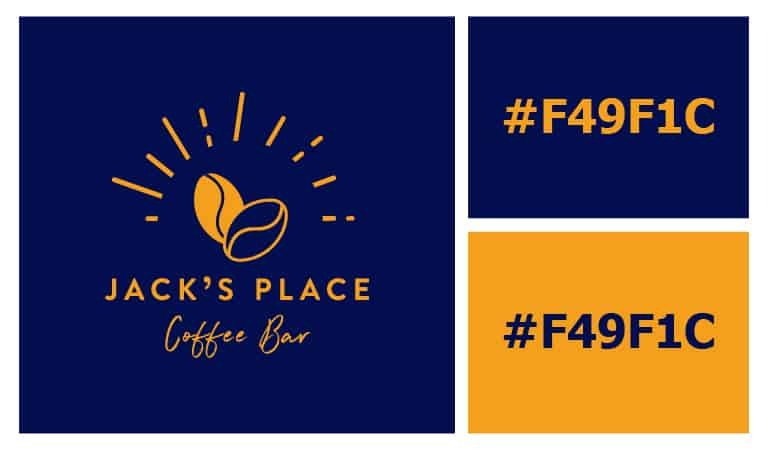 By choosing the right color combination, you can help your brand leave a lasting impact that shapes a more powerful connection with your audience. Take the hassle out of designing a logo from you mobile device. Simply tell us a few details about your blog and we will take care of the rest. Get an awesome logo design in less than 5 minutes!